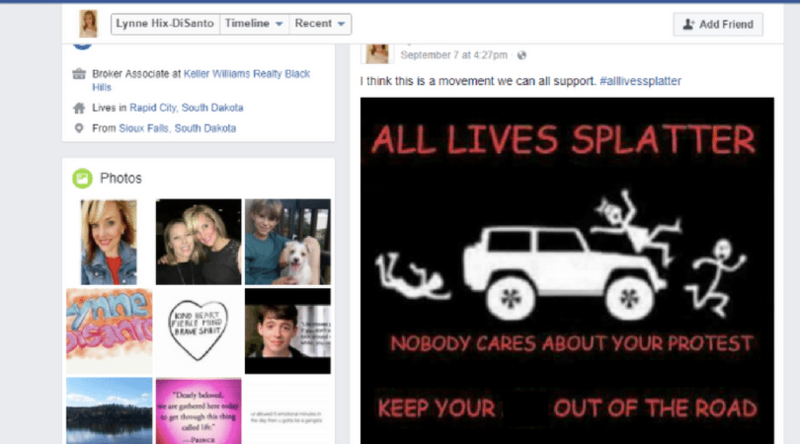 South Dakota Republican State Rep. Lynne Hix-DiSanto, who also worked as a licensed real estate agent, has been fired from Keller Williams Realty Black Hills over a Sept. 7 Facebook post of a meme that depicted protestors being hit by a car. 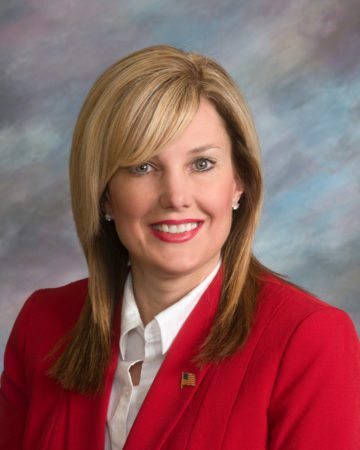 DiSanto’s South Dakota legislature headshot. “That was a lack of judgment on my part to not take that into consideration, the highly charged political environment that we’re in,” she added. “The right to peaceably assemble is fundamental to our democracy — so fundamental, in fact, it is included in the First Amendment to our Constitution,” said Democratic Party Executive Director Sam Parkinson in a press release. On Sept. 19, Keller Williams Realty Black Hills, the brokerage Hix-DiSanto worked for, made a Facebook post announcing that she would no longer be working for their team. Some commenters wrote “Thank you,” “Good call,” and “You did the right thing,” while others chided the brokerage for punishing Hix-DiSanto for exercising her right to free speech. Keller Williams spokesperson Darryl Frost says KW is aware of the situation and will not tolerate statements like Hix-DiSanto’s. As of now, all of Hix-DiSanto’s social media pages have been removed and she hasn’t made any public statements since her initial interview with the Rapid City Journal. Inman has reached out to Hix-DiSanto and KW Black Hills for additional comments, and we’ll update the story accordingly.